Join fellow Members & friends at one of our events this winter in Florida. Join the fun at one of our upcoming events! 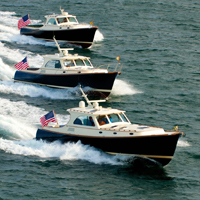 The ultimate B&G experience, own a yacht in the fleet. 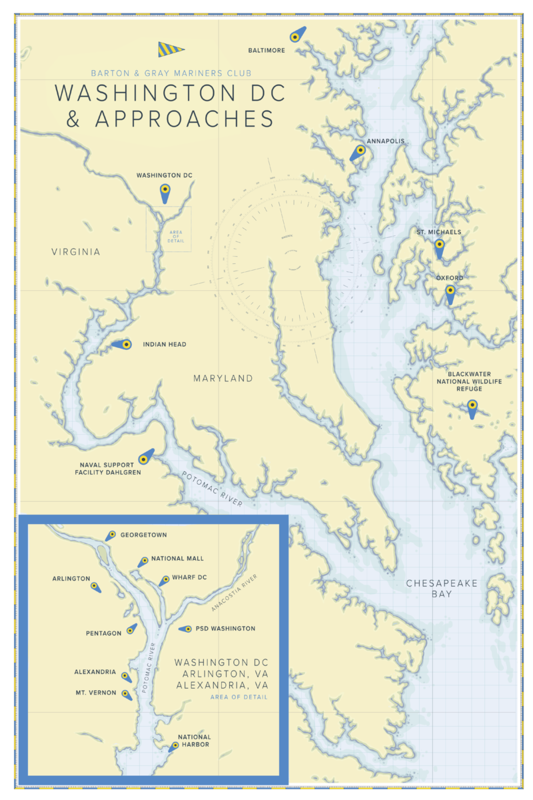 Visit or depart from Georgetown just north of the Club's slip in District Wharf. Whether it be taking in a meal, drinks, or shopping from these convenient docks in Georgetown. We like Farmers, Fishers Bakers, Filoa Mare, and Bangkok Joe's. for lunch and dinner in Georgetown. Monuments, cities, helicopters, skylines, and nature can all be taken in a short, or a nice long river cruise on both the Potomac and Anacostia Rivers. Break away from This Town and head over and down to Alexandria for the charms of this river neighbor. Vola's Dockside Grill is a perfect spot on the river, or break away fom the yacht for a few and see more of this very walkable town. You have probably seen all or most of the Monuments along the Potomac, but not by Hinckley . . . yet, and there are a few gems hidden along the banks really meant to be enjoyed by yacht. The Potomac is home to many great restaurants you can reach by yacht. Here are a few favorites, your captain will know many more. 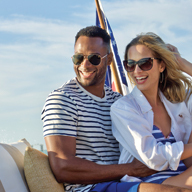 A collection of classic yacht, beach, and picnic options available in each and every B&G Harbor.